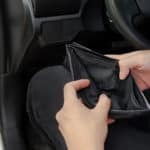 Buying a car with damaged credit can be a challenge on its own, and the last thing you need is to end up with a vehicle that is unreliable or requires almost immediate repairs when you bring it home. 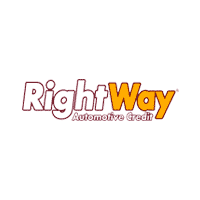 Here at RightWay, we pride ourselves in catering to those who with not-so-perfect credit, so we ensure our cars are inspected and carry a warranty. That said, you still want to make sure any car you purchase will last you and not end up digging you deeper into a financial pit. To help you in your search, we’ve created a pre-purchase vehicle-inspection guide that can help you weed out a potential money pit. Visually inspect the exterior and interior of the vehicle and check for any evidence of damage that wasn’t disclosed. Look closely inside the headlight and taillight assemblies for signs of oxidation, which indicates potential water damage or submersion. A musty smell inside the cabin is another sign of water infiltration. If possible, slide under the vehicle and check for damage to the undercarriage, which may indicate there was a serious accident at some point that may have damaged the frame or unibody. First, perform a general visual inspection. What you are looking for are cracks in the tire’s tread or the sidewall – cracks indicate excessive age, a defect or the tire coming into contact with a damaging chemical. Also check for nails and other sharp objects stuck in the tire. Next, verify the vehicle has the right tire size by checking the tire size on the placard inside the door jamb – the exact positioning may vary by vehicle – against the size of the tires on the car. If the vehicle has aftermarket wheels, verify the tires are the same size on both sides of each axle. Keep in mind that the tires may vary in size from front to rear, especially on performance vehicles. Lastly, check the tread depth by sticking a penny into one of the tread grooves with Abe Lincoln’s head pointing downward. If you can see Abe’s entire head, then the tires are unsafe and will need replaced immediately. Without being a trained technician with a shop and a vehicle lift, you cannot perform a full suspension check, but you can do a quick check at the dealer. Go to each corner of the vehicle and bounce the car up and down several times. Release the vehicle on one of the downward strokes and observe how the car settles. If the suspension is functioning correctly, the vehicle should rise once then settle into its normal position with minimal residual bouncing. If the vehicle continues to bounce, then there is a potential suspension issue that requires further inspection. While performing this test, you also want to listen for loud squeaks and pops. These are indications of worn suspension and chassis components. Like the suspension, you cannot do a full brake inspection without lifting the vehicle and using tools, but you can perform a basic test. If the vehicle’s wheels allow access, check the rotors, which are the metal discs behind the wheels, for deep grooves that would easily catch your fingernail if you dragged it across the rotor. These grooves are signs of unaddressed or incorrectly repaired brake wear. Checking a car’s fluids is a great way to get a feel for how it was maintained. It can also be an indicator of damage. You will want to check the oil, coolant, brake fluid and transmission fluid, if accessible. The oil should be between the “minimum” and “maximum” lines on the dipstick. If it is under the “minimum” line, there may be an oil leak. If it is over the “maximum” line, then there may be a leak that the owner compensated for by overfilling it. In terms of color, the oil should be either a dark brown or a light brown, depending on when it was last changed. If it has a milky color, this is evidence of a potential engine issues. It should also be smooth and free of any debris when rubbed between your fingers. First, never open the coolant reservoir when the engine is hot, as the pressure can cause the hot coolant to surge from the engine and burn you. When checking the coolant, verify that the level is within the “Fill” range on the reservoir. Each car varies in how it shows the reservoir is full, but there will be clear markings on it. In terms of color, the coolant should be bright green, yellow, pink or orange, depending on the type of vehicle, and free of any debris. The coolant should also be watery in consistency. If it has a gel-like consistency, there may be a mechanical issue or lack of maintenance. The brake fluid is not always easily accessible, so you may have to skip this check. But if it is accessible, the level should be between the “min” and “max” lines on the reservoir. If it is below the “min” line, this is an indication of a fluid leak or worn brake pads and rotors. The fluid should be a light brown and feel like a light oil between your fingers. If the fluid feels watery or is a dark brown, this is an indicates it’s been neglected or there is a mechanical problem. Automatic transmissions are silent money drainers, so it is key to check the fluid. Unfortunately, many modern vehicles do not give access to the transmission dipstick, but if there is an accessible dipstick, verify the fluid is between the “min” and “max” lines. 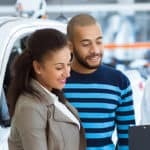 Each vehicle varies in its checking process – some want the car running and in park, while others prefer the car turned off – but the dipstick should tell you how to check it. In terms of color, virtually all transmission fluid is bright red when it is new. Under normal wear it will turn a slightly darker red. If the fluid is almost black, this is an indication that the maintenance has been ignored or there is a mechanical issue. Between your fingers, the fluid should feel like engine oil. If it feels sticky, has a burned smell or is there is debris, there is likely a mechanical issue. A quick note on transmission fluid: If the fluid is dark or feels sticky, performing maintenance in an attempt to repair the issue could result in even more damage. When you check out a car, always demand to start it cold, meaning after it has sat without running for several hours. If the owner needs to “warm it up” before you come, there may be a cold-start issue the owner is hiding. When performing the cold start, the car shouldn’t have any issues starting. If it cranks for an extended time before starting or the engine struggles to turn over, then there is a potential issue that needs further evaluation. Once the engine starts, listen closely for any loud knocking or tapping. Every car will tap lightly for about 30 seconds when the engine first starts, as the oil needs to circulate before the tapping will cease, but anything louder than a faint tap or longer than 30 seconds is a sign of trouble brewing. The test drive is by far the most important part of this whole process. If the seller attempts to prevent you from driving the car or limit your route, that is an immediate red flag. You want to test the vehicle for 15 to 20 minutes on various roads, ranging from rough to smooth, to get a good feel for how it handles and any odd squeaks or squeals that may arise. From a complete stop, perform a full-throttle acceleration to the speed limit of the road you are on. This will give you a feel for any shifting issues in the transmission, any stumbling in the engine or any other weak powertrain components that may cause issues in the future. Once you hit this speed, come to a complete stop under moderate pedal pressure. Feel for any unusual pulsating, vibrations or pulling in one direction. These are all signs of potential brake issues. Getting the vehicle up to highway speeds is a must on any test drive. On the way to and at highway speeds feel for any vibration or hard pulling to one side. These are indications of tire issues and potential chassis or alignment problems. Also listen for any loud humming or grinding sounds, which indicate tire or wheel issues. Head to a parking lot or other open concrete space with little to no traffic and perform full-lock turns – this is when you turn the steering wheel until it stops turning – in both directions while driving at a low speed. Listen for any clicks, pops or loud whining from the steering system, as these are all potential issues. Take the vehicle to a local car wash, preferably a self-service one with a high-pressure sprayer. Roll up all the windows and soak the car in water. This simulates heavy rainfall and can quickly expose any potential seal leaks that can result in costly water damage in the future. 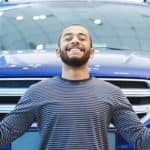 Before agreeing to purchase the vehicle is best to check its history. First, ask the owner for any maintenance and repair receipts. If the owner has them, great. If not, it is not a deal breaker, but you will want to use your discretion. You will also want to pull a vehicle history report prior to purchasing it. Yes, this will cost a little money, but this will show where the vehicle has been, how it was used and any accidents it has been in. This could prove to be a valuable negotiation tool in the end. You will also want to verify what type of warranty the vehicle has and what pre-sale inspections it has gone through. Here at RightWay, all our vehicles are inspected by a third-party repair facility. All safety items that do not function correctly are immediately repaired or replaced. We also deliver all our vehicles with a six-month or 6,000-mile powertrain warranty, so you know you are covered when you leave our showroom.